If you haven’t heard about it yet, Mark Zuckerberg has started an online book group called A Year Of Books on Facebook as he attempts to read 2 books per month in 2015. We won’t be offended if you join up-we think it’s great but please let us know in the comments below if you’d like us to offer an online book group too. Click here to see the A Year Of Books page. If we could touch base with Mr. Zuckerberg, we’d probably ask for a list of the next few titles he’s going to read so we could get some extra copies in for our patrons. The Costa Book Awards is one of the UK’s most prestigious and popular literary prizes and recognises some of the most enjoyable books of the year by writers based in the UK and Ireland. It’s unique for having five categories: First Novel, Novel, Biography, Poetry and Children’s Book. The winner in each category receives £5,000, and then one of the five winning books is selected as the overall Costa Book of the Year, receiving a further £30,000, and making a total prize fund of £55,000. The Costa is the only prize which places children’s books alongside adult books in this way. The Costa Book Awards started life in 1971 as the Whitbread Literary Awards. From 1985 they were known as the Whitbread Book Awards until 2006, when Costa Coffee took over ownership from Whitbread. Biography: Poet and debut biographer Matthew Hollis for his first work of prose, Now All Roads Leads to France: The Last Years of Edward Thomas. Novel: Andrew Miller for his sixth novel, Pure. First Novel: Debut novelist and former Great Ormond Street nurse, Christie Watson for Tiny Sunbirds Far Away. Poetry: Carol Ann Duffy for The Bees, her first collection since being appointed Poet Laureate in 2009. Children’s Book: Former opera singer and debut children’s writer, Moira Young for Blood Red Road, currently being adapted for film by Scott Free, Ridley Scott’s production company. Jojo Moyes and Eleanor Updale, will be announced on Tuesday 24th January 2012.
children’s book. The 2010 Costa Book of the Year was Of Mutability by Jo Shapcott. An epic western adventure wrapped in the history of one small town, from the rugged mudflats of the northwestern frontier, to a rusting strip mall cornucopia, West of Here is a conversation between two epochs, one rushing blindly toward the future, and the other struggling to undo the damage of the past. For nine-year-old Miller, who lives with his mother in Watertown, New York, life has become a struggle to make sense of his father’s disappearance, for which he blames himself. Then, when he becomes convinced that he has found his father lying comatose in the local VA hospital, a victim of the war in Iraq, Miller begins a search for the one person he believes can save him, the famously reclusive — and, unfortunately, dead — Frederick Exley, a Watertown native and the author of his father’s favorite book, the “fictional memoir” A Fan’s Notes. The story of Miller’s search, told by both Miller himself and his somewhat flaky therapist, ultimately becomes an exploration of the difference between what we believe to be real and what is in fact real, and how challenging it can be to reconcile the two. The New Yorker editors have announced their picks of the best 20 writers under 40. This is the magazine’s first such list since 1999, when it identified several future literary successes including Junot Díaz and Jhumpa Lahiri. Stories by the authors will be featured in upcoming issues of the magazine. The list is evenly divided between women and men. Some titles of novels by the author follow his/her name. Krauss is married to another author on the list– Jonathan Safron Foer. Gary Shteyngart, — Super Sad True Love Story (due out in July); The Russian Debutante’s Handbook; Absurdistan. Joe Nocera is The New York Times’ Talking Business columnist. He also writes a business-oriented blog at The Times called Executive Suite. 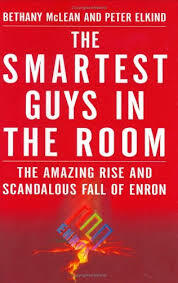 A few years ago he asked his regular readers for suggestions for the best business fiction books. Unable to come up with a sufficient list of fiction, he turned his eye toward non-fiction books; narrative non-fiction, that is, and consulted a few other business-minded authorities for their advice. 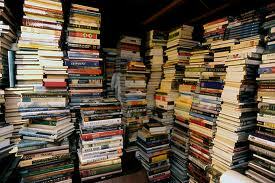 They agreed on the following list as the very best business books. If you have a title you feel has been unfairly excluded, you can let him know at the original blog post. 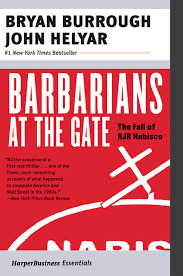 “Barbarians At The Gate by Bryan Burrough and John Helyar ~~ a rollicking account of KKR’s leveraged buyout of RJR Nabisco. 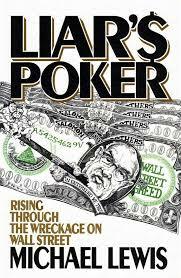 Liar’s Poker by Michael Lewis ~~ (even though I’ve since become convinced that the anecdote that gives the book its title never happened). Indecent Exposure by David McClintick. 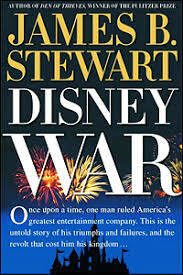 (Published in 1982, it single-handedly created the business narrative genre).